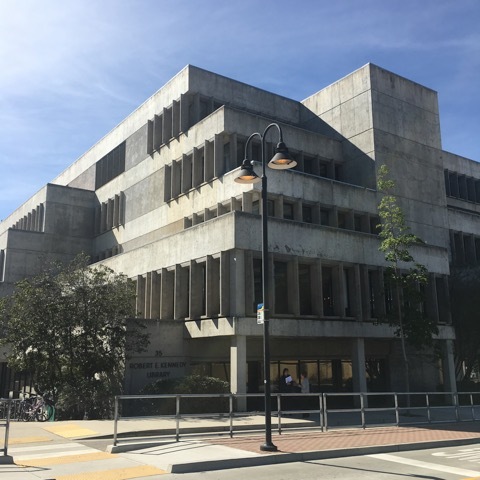 Cal Poly, San Luis Obispo, may find it necessary to reduce faculty, support staff, and administrative positions due to enrollment declines or financial support reductions. The discontinuance of programs or departments sometimes emerges as the alternative that does the least harm to the quality of remaining programs. Program and department discontinuance are valid ways of responding to reductions in resources; however, program discontinuance can and must be accomplished with minimal impact. Program discontinuance decisions must be made in a reasoned way that will minimize damage to the university and to the majority of its programs. The process should be based on the fact that the university is a community with a responsibility for the well being and interest of students, faculty, staff, and alumni. The following procedures have been developed in response to EP&R 79-10, January 26, 1979, Chancellor Dumke to Presidents, “Interim Policy for the Discontinuance of Academic Programs” and EP&R 80-45, June 12, 1980, Vice Chancellor Sheriffs to Presidents, “Clarification of Interim Policy for Discontinuance of Academic Programs.” These documents outline general procedures for program discontinuance and request that campuses submit local discontinuance procedures. The proposal shall be submitted to the Provost for review. The Provost shall review the proposal for discontinuance and either reject the proposal or begin the discontinuance process within three calendar weeks. If the discontinuance procedure is to begin, a discontinuance review committee will be appointed within the next three calendar weeks after approval to conduct a review in accordance with the procedures outlined in this document and make recommendations to the Provost as required by the CSU Chancellor’s Office. The discontinuance review committee will consist of two groups appointed by the Provost in agreement with the Executive Committee of the Academic Senate. A staff representative not involved in the program, nominated by the Provost. At least one graduate of the program nominated by the faculty involved in the program. In the first step, each group will elect its own chair and create a document describing the strengths and weaknesses of the program under review and a justification of why the program should or should not be discontinued. The documents must be generated within sixteen weeks after the committee has been appointed. The merits of the program shall be assessed using the elements described in Sections II and III below and in the Academic Program Review and Improvement Guidelines. If appropriate, the documents shall include what remedies could be taken to address weaknesses including a precise statement of goals and a time table to reach those goals. The chair of each group shall make its document available to faculty for comments for four weeks. A written request for comments must be sent to all faculty and staff directly affected by the potential discontinuance at the start of the period for comments. The two groups will review the comments and revise their documents as appropriate. In the second step, immediately following the four weeks of comments, the two groups will exchange documents and provide a written critique of the arguments presented in the document from the other group within six weeks. The two groups will then each select five voting representatives who will then merge into a single group, with the nonvoting representative from the Academic Programs office as chair. Within four weeks, the groups will discuss and amend the documents produced. The final version of the two analyses, with the critiques of the arguments presented, and with all the information deemed relevant, shall be bound in a single document (which at this point should have a format similar to what is produced by the state analyst’s office to assist voters). A tally of how many voting representatives are in favor or against discontinuance shall be part of the final document sent to the Provost, the Academic Deans' Council, and the Academic Senate for their review and recommendation. The Provost, the Academic Deans' Council, and the Academic Senate will forward their recommendations to the President within six weeks after receiving the final document, and the President will make the final recommendation to the Chancellor’s Office. The impact of discontinuance on student demand. Note that, in all cases, the proposal shall specify mechanisms to permit enrolled students to earn their degrees. The most recently completed Review of Existing Degree Programs with current statistical update. The most recent accreditation report if a program is accredited or approved. If the accreditation is over six years old, or if there is no accrediting body for the program; a review of the program by a panel of professionals with no contractual association with Cal Poly can be substituted for the accreditation report provided the review has been completed within the last six years. Number of students expected to graduate in each of the next three years. Conclusions and recommendations of the project team on academic programs contained in the most recent edition of Academic Program and Resource Planning in The California State University. Proposal to discontinue an academic program received by the Provost. Provost accepts or rejects the proposal. Initial report: Each of the two groups from the discontinuance review committee produces their report and exchanges it for the report from the other group. Period of comments: Each of the two groups from the discontinuance review committee solicits comments on the reports from the university at large. Critique of the initial reports: Each of the two groups from the discontinuance review committee produces a critique of the findings produced by the other group. Final report: The two groups from the discontinuance review committee jointly discuss and amend, if necessary, the final document and send it to the Provost, the Academic Deans' Council, and the Academic Senate. Recommendations: The Provost, the Academic Deans' Council, and the Academic Senate make recommendations to the President. NOTE: A calendar week is five working days. Calendar weeks exclude summer quarter and the breaks between quarters.